Where Is the Serial Number on a Bond? Serial numbers were vital for tracking bond ownership. 2. How Many Years Can You Keep a US Savings Bond Before it Stops Earning Interest? 3. Can You Track Down a Savings Bond Using a Serial Number? The U.S. Savings Bonds Program was created in 1935 during Franklin D. Roosevelt’s administration, when a $25 face value bond cost $18.75. Grandma would buy a bond at a bank with cash and receive a paper bond certificate in exchange. Everything you needed to know about your bond, including its serial number, was printed right on it. Bond holders were advised to keep a record of their bonds’ serial numbers separate from their bond certificates because, if the certificates were ever lost, stolen or destroyed, getting replacements were fairly easy as long as you had those serial numbers. But a lot has happened since you could buy a U.S. savings bond for less than $20. In 1941, when the U.S. entered World War II, President Franklin D. Roosevelt announced a new series of savings bonds to support the cost of fighting the war. These were known as defense or war bonds. For those who could not afford bonds, war stamps were available. They came in denominations as low as 10 cents. Kids were sent to school each week with a dime or a quarter to buy a war stamp. Popular celebrities of the time like John Wayne, Lucille Ball and Bing Crosby got involved in promoting bonds for the war effort (think Christian Bale, Tina Fey and Bruno Mars). Cartoon characters of the day even promoted bonds. By 1946, with the war over, savings bonds had morphed into a popular way for families to save and feel good about helping finance the nation’s growth. Later, Presidents Kennedy and Ford were strong supporters of U.S. Savings Bonds. The Kennedy administration established a payroll savings committee that resulted in record numbers of workers signing up to purchase bonds through automatic payroll deductions. In 1990 Congress created the Education Bond Program which allowed Americans to buy bonds that could be cashed in tax-free as long as the money was used to pay for college tuition and other acceptable higher education fees. Series I savings bonds were launched in 1998 by Vice President Al Gore to encourage more Americans to save. These bond certificates featured eight historical figures including Helen Keller, Dr. Martin Luther King Jr. and Albert Einstein. The U.S. Treasury began going digital in 2002 and launched TreasuryDirect.com in 2004. The website gave bond buyers the ability to track, purchase and redeem their bonds online. If you preferred a tangible bond certificate, you could still get one at your local bank or credit union. Now, not so much. As of 2012 paper savings bonds are no longer. All savings bond business is conducted electronically via TreasuryDirect.com. As long as you can access your TreasuryDirect account, you can access your virtual bonds. Serial numbers have been replaced by Committee on Uniform Security Identification Procedures numbers, the same type of individual identifiers that are used for stocks. CUSIP numbers identify the bond issuer and the type of bond it is. They’re accepted worldwide. Since you cannot lose a virtual bond, you don’t need to worry about recording CUSIP numbers. If you need to know the CUSIP number of a bond you own you can find it on a statement, by logging into your account or by asking your securities broker. Online search tools are available to find CUSIP numbers for bonds you don’t own. Fidelity has one. The Municipal Securities Rulemaking Board's is called EMMA®️. TreasuryDirect has a table of treasury securities on their website that lists CUSIP numbers of U.S. Savings Bonds. Missed Maturity Date? No Problem. Apart from being impossible to lose, virtual bonds have other big advantages over paper bonds, like automatic redemption. When bonds mature they stop earning interest, so there is no point in hanging on to them past their maturity dates. Bonds in your TreasuryDirect account are automatically redeemed at maturity and replaced with Zero-Percent Certificates of Indebtedness. A Zero-Percent C of I is essentially a placeholder. It does not earn interest. It can be cashed in or used to buy more bonds. Commercial Paper is one of the few bond-type securities still documented in tangible form. The buyer receives a promissory note from the issuer. Commercial paper is very short-term, unsecured debt used by corporations to raise cash without going through the more expensive and onerous process of obtaining a bank loan or issuing stock. As long as it matures in 270 days or less, commercial paper is exempt from SEC registration. Commercial paper is not FDIC insured. It's backed only by the financial strength of the company that issued it. Denominations usually start at $100,000. So investors are usually banks, mutual funds, wealthy individuals and other corporations. Despite not being secured or subject to SEC requirements, commercial paper is a pretty safe investment because only companies with excellent credit ratings can issue it. Apple and Microsoft have both issued commercial paper. Although the default rate for commercial paper spiked during the 2007-2009 financial crisis, it usually hovers around 3 percent. But take heed. Legal decisions on commercial paper investors trying to collect on their investment without a promissory note are inconsistent at best. Some are decided in favor of the investor, many are not. So don’t lose it. So where is the serial number on a bond? Unless you still have a paper bond lingering around somewhere, serial numbers are now part of history. Bond buyers today have greater flexibility and far better security with virtual bonds. If you still have a paper bond you can exchange it for an electronic bond with TreasuryDirect’s SmartExchange®️ program. You just open a TreasuryDirect account and fill out a form. Municipal Securities Rulemaking Board: What is a CUSIP? Corporate Justice Blog: The Banks Lost the Notes: This is no Joke! LeDona Withaar has over 20 years’ experience as a securities industry professional and finance manager. She was an auditor for the National Association of Securities Dealers, a compliance manager for UNX, Inc. and a securities compliance specialist at Capital Group. She has an MBA from Simmons College in Boston, Massachusetts and a BA from Mills College in Oakland, California. She has done volunteer work in corporate development for nonprofit organizations such as the Boston Symphony Orchestra. She currently owns and operates her own small business in addition to writing for business and financial publications such as Budgeting the Nest, PocketSense and Zacks. What Is the Face-Value Maturity Period for Series EE Bonds? 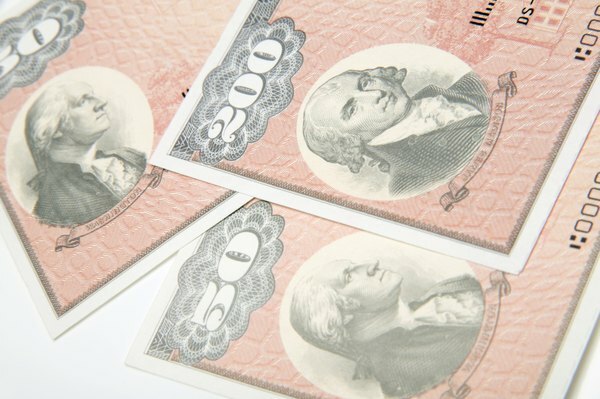 What Is the Highest Denomination of Savings Bond? How do I Calculate the Value of Paper Savings Bonds? How Are Bond Interest Payments Made?